Osterloh's pay is under scrutiny. HAMBURG -- German prosecutors are investigating current and former executives at Volkswagen on suspicion that they paid works council chief Bernd Osterloh an excessive salary. In Germany, wasting corporate funds is legally a breach of fiduciary duty. "I can confirm that the Braunschweig prosecutor's office currently has a case on early suspicion of breach of fiduciary trust," Braunschweig prosecutor Julia Meyer said in an emailed statement. She declined to name any suspects or provide details of the investigation. German legal portal Juve said the prosecutor's office was probing whether Osterloh had for years received an inflated pay package. 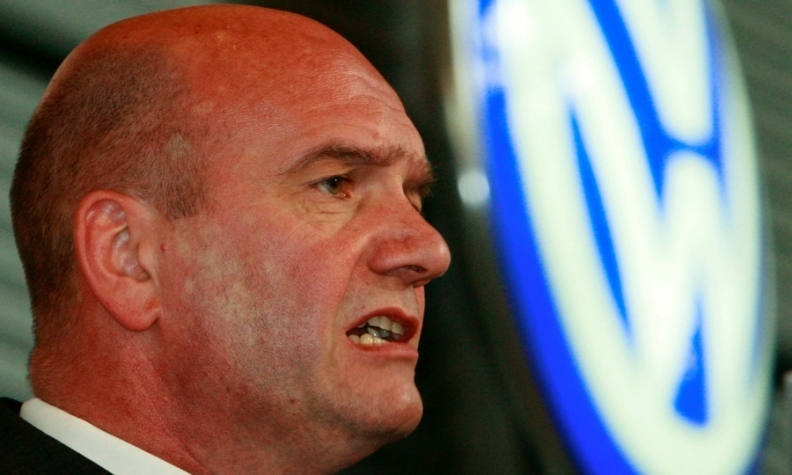 Volkswagen said its pay for works council members conformed with German rules and that external legal experts had confirmed that Osterloh's remuneration was appropriate. The Volkswagen works council separately said it had been informed about the probe against current and former company representatives, whom it also did not name. Osterloh receives a salary equivalent to a business unit manager at Volkswagen, which is below that of a management board member, it said. "Had he decided to accept an offer to become head of personnel, his remuneration would have been significantly higher. He instead decided to continue to devote his time to the workforce," it said in a statement. In an interview with the Braunschweiger Zeitung, Osterloh said he felt at ease with the level of his salary. He told the paper his basic pay was around 200,000 euros ($219,000), not including bonuses, meaning his pay had peaked one year at around 750,000 euros, though it was much lower now. He said he had told the company in 2015 following the diesel scandal that he wanted his bonus to be cut by the same percentage as the workforce's bonus payments. "If it was about wanting more money I would no longer be head of the works council but would be head of personnel," he said.